for $399,900. 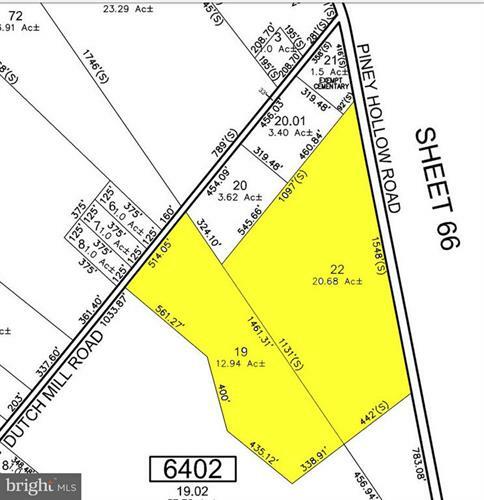 The lot size is 33.00 Acre(s). Here is the perfect piece of land to start your vineyard, nursery, organic farm or small subdivision for new construction. The two lots are adjacent to each other forming a contiguous parcel. The two lots are being sold together and are located on high and dry land in desirable Franklin Township with two road frontages. 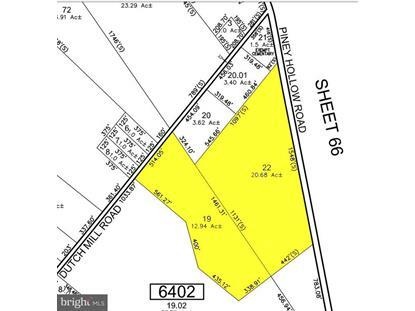 Lot 22 is on Piney Hollow Road with more than 1, 500 feet frontage and Lot 19 is on Dutch Mill Road with about 514 feet frontage. There are so many possibilities for this blank canvas! Owner says SELL NOW! Make your offer, any offer, on this vacant land located just a few miles from Route 40 or Route 322 which puts it just down the street from two other wineries on the Two Bridges Wine Trail in South Jersey. If a vineyard is not what you're looking to build, you can build your single dwelling or apply for subdivision for multiple dwellings on these over 33 acres. No vineyard or dwellings? Then make a farm on this previously certified organic farm.